Hi everyone! UPDATE! I GOT A JOB!!!!!! Ahhhhhhh I did actually cry when I got the call saying I got it. Anywho, I just needed to share with all of you since everyone has been on this crazy ride with me. 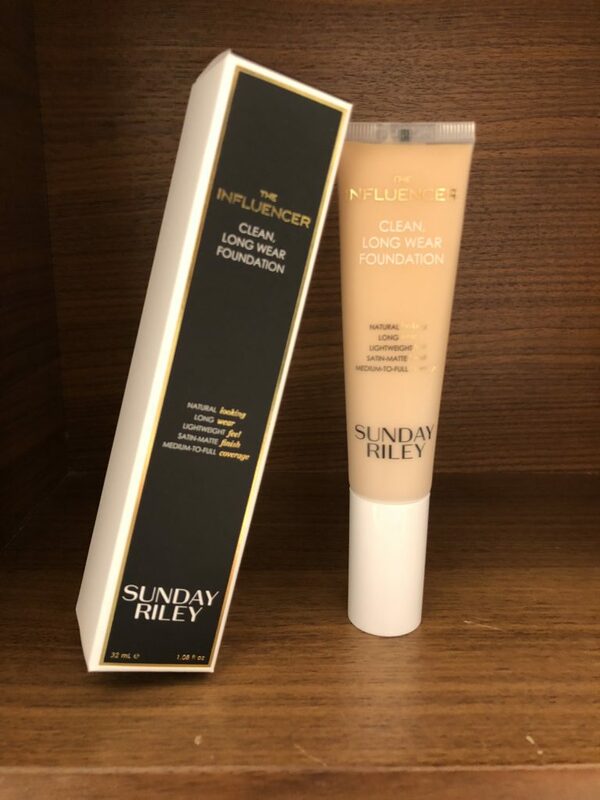 I recently and very eagerly picked up the brand new Influencer foundation from Sunday Riley. 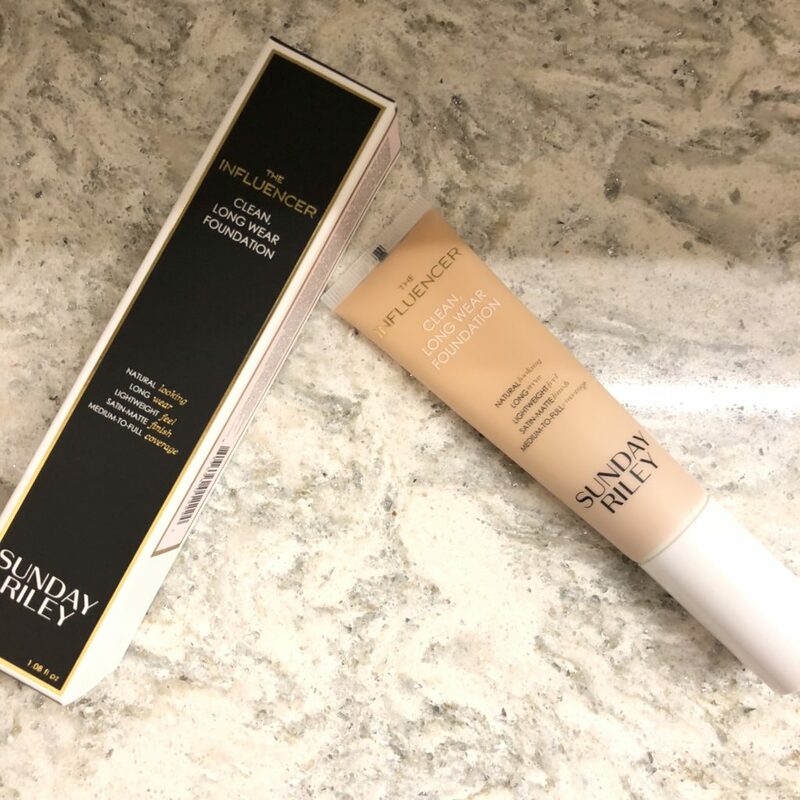 You all know how much I LOVE my Sunday Riley products to a borderline obsession, so when I saw they were finally coming out with makeup I nearly fell over. I am super picky when it comes to makeup due to my incredibly temperamental skin and the high humidity climate that I live in doesn’t help with my oily skin in any sort of way. I usually avoid liquid foundations all together and opt for my favorite go-to SPF packing Bare Minerals foundation and call it a day. However, since I swear by the entire Sunday Riley skincare line I figured I could take a chance. I got matched with the shade 140 which is a described as light with neutral undertones and I normally wear a medium in my Bare Minerals foundation just for reference. The first thing I noticed while wearing Influencer was just how light it felt on my skin. I truly like when I can apply a foundation and I don’t immediately feel like my skin is suffocationg under a thick and heavy layer of makeup. Throughout the day my oliy skin really didnt brekup the makeup and it didnt oxidize a weird color which truly surprised me ( in a good way fo course). I believe that the reason for this is good for your skin ingredients that Sunday Riley included in this product. They have Canadian Willowherb which is said to keep skin clear and radiant all day with wear and “Bisobolol: Helps fight surface redness, so your foundation doesn’t have to work so hard”. 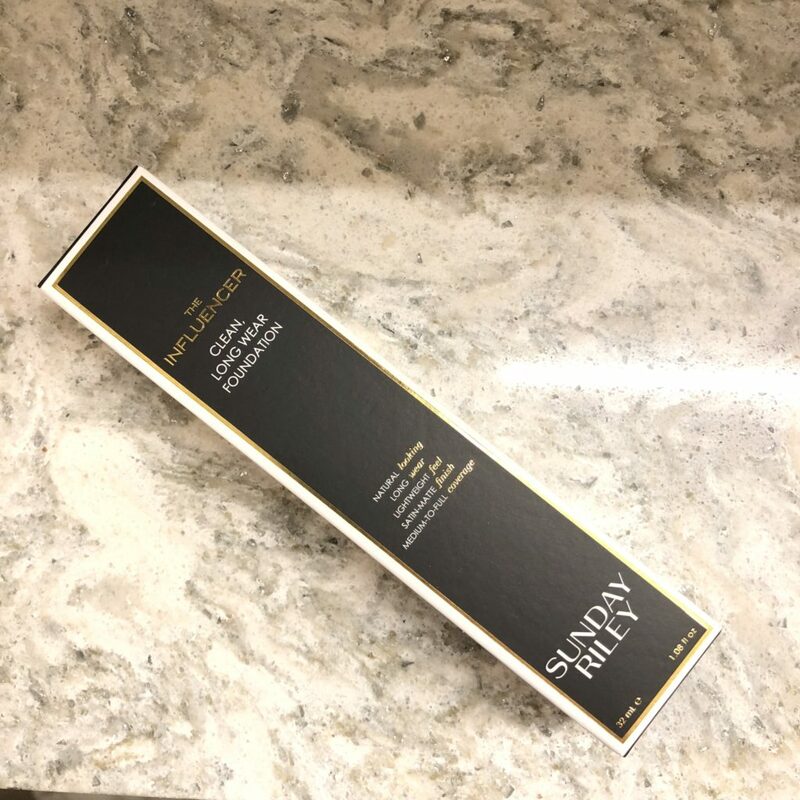 I am truly so excited to incorporate this amazingness into my routine more and I will update you to see how this hold up during my 12+ hour shifts! Thank you all for coming to visit and I cannot wait to talk to you all soon!